The first thing I typed up to open this post was: ‘I have a thing for balls’ After careful consideration I deleted it. Then I typed it up again, this time for the sake of the joke. Bear with me, please. Crappy ball jokes aside I really have a thing for meatballs. Aaah here I am, successfully adulting. Don’t get used to it. It’s a scarcity. There is no back story for this recipe I just like meatballs. So after sharing my Spicy Cheese Stuffed Meatballs recipe with you a couple of weeks ago I had the unbearable urge to make Italian spiced meatballs in marinara sauce. It was almost haunting me. So this week I got out my wonderful cast-iron skillet and my arsenal of Italian spices and whipped up a batch of these wonderful Parmesan Marinara Meatballs. First thing first: THEY ARE THE BOMB! I just have to share them with you guys. I feel like this might me something like my catch phrase but that doesn’t make it less true in the end of the day: I am totally gaga about this recipe! 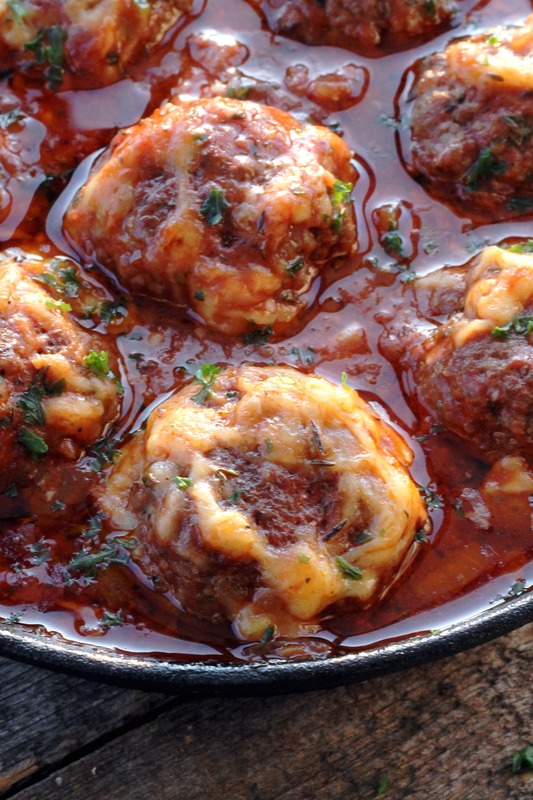 The Parmesan Marinara Meatballs have a crispy fried outside yet are juicy and tender inside. The Italian spices and Parmesan provide aromatic yet mellow flavor and the marinara sauce adds a nice rich touch thanks to the flavorful onions. The melted cheese on top takes it to the next level. Comfort food at its finest. Make this Parmesan Marinara Meatballs and eat them over a bowl of pasta. Use them for topping your sandwich – hello Marinara Meatball Sub – or just pile them up on your salad. The marinara sauce is like the best salad dressing ever! This recipe is perfect for everyone without a dishwasher (like me), for everyone who wants a really nice dinner but doesn’t want to spend copious amounts of time in the kitchen (so me) or everyone who is just lazy (so me again). All you need is one bowl and one skillet and 20 minutes plus oven time. Now that’s right down my alley! I should really have learned my lesson by now. It’s no good when I type up my recipe posts once the food I post is already gone. I think I need to hit the shops again. Maybe I need another batch of Parmesan Marinara Meatballs for dinner tonight! You are the only person who can make me want meat. 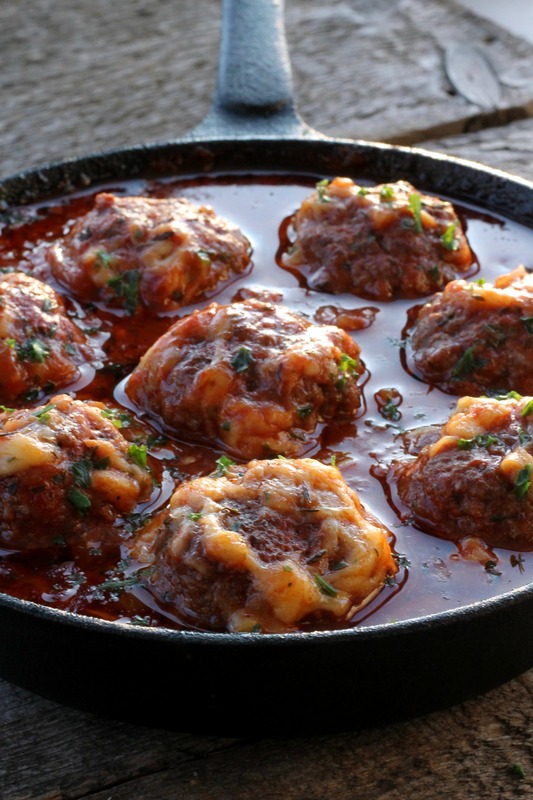 These look amazing, and back in the day, I used to make homemade meatballs all the time or at least a couple times of year. I still make them for the Hubby on occasion so I’ll have to try your version next because they look off the chain. Mmmm look at this cheesy yumminess! Sign me UP! 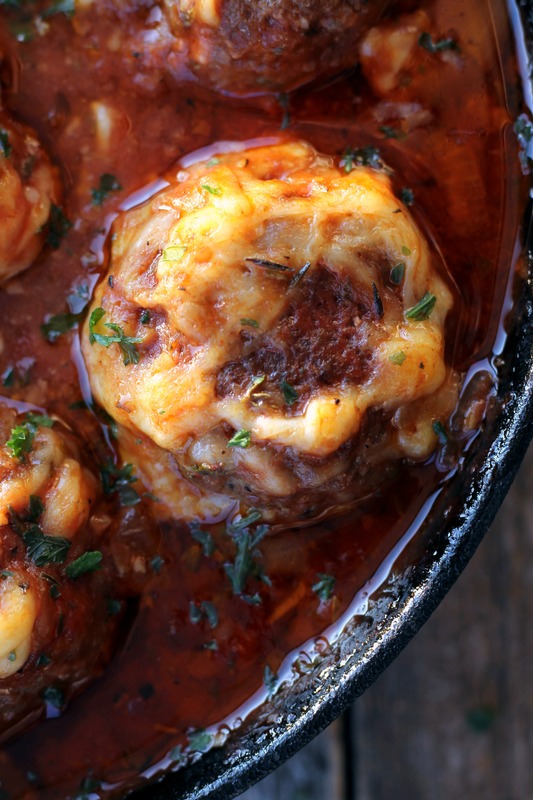 I actually had plans on making meatballs tonight, so I guess I’ll just have to make these ones instead! 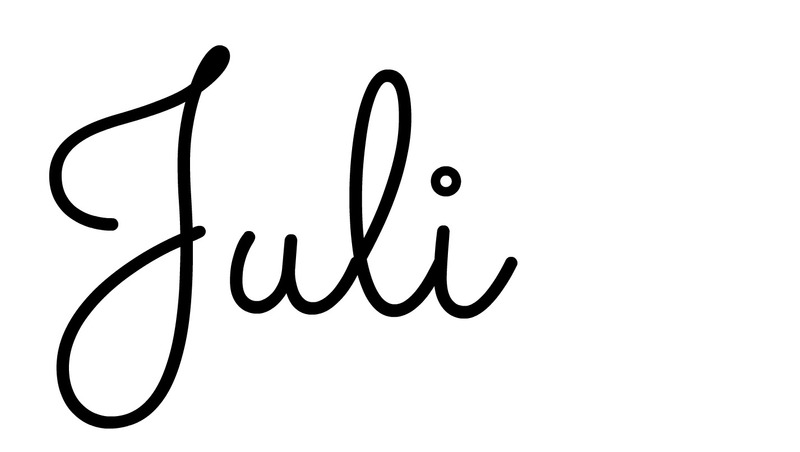 Ahhhhh Juli!!! It’s 11am, my breakfast has apparently done nothing for my post crossfit appetite and now I want your meat soooo bad! My tummy literally rumbled at the end of this post. No.joke. I wonder if I could experiment with these a bit and make them in the slow cooker? Do you think that might work… Maybe 6 hours on low?? That way I could make a huge batch for the week! Love it! Picture me grinning from ear to ear!